Environmental Hazards to Your Home | American Building Inspectors, Inc. Here are tips on how to spot them, and how to eliminate them so that your home can be a healthy place to live. By addressing these 5 common environmental hazards to your home, you can create a healthier place to live for you and your family. In your home, water is your enemy! Keep an eye out for any signs that you may have condensation or a leak: water stains that grow, a musty smell, wet carpeting, or pools of water on your floor. If you notice these signs, you should take action within 24 hours. Clean and dry your construction materials and carpets, and if an item is drenched, consider replacing it to avoid a mold problem. It’s a good idea to hire a professional to inspect for any damage and also as a preventative measure to avoid future problems. It is estimated that 70% of homes have mold growing behind their walls. 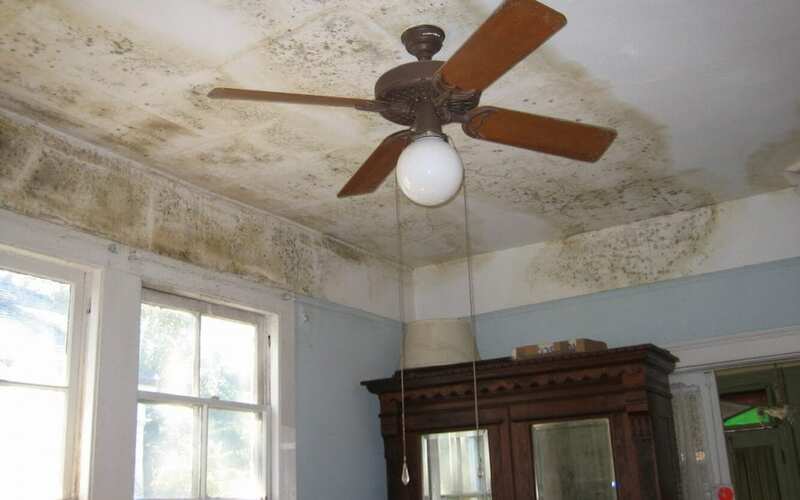 Certain kinds of mold cause health problems and allergic reactions. Mold can also contribute to asthma attacks. You can clean the mold yourself or hire a professional to do the job, but what you really need to do is get rid of the cause: moisture. You’ll need to find the source and eliminate it to keep the mold from resurfacing as a recurring problem. In order to reduce dust, take your shoes off at the entryway. You should also cut down on clutter, eliminate indoor smoking, and clean and change your furnace and air conditioner filters regularly. A multitude of items you use regularly in your household, including paint, carpets, cleaners and adhesives, give off VOCs. Many unpleasant and even deadly health problems—including cancer—can be caused by exposure to VOCs. There are a number of things that you can do to lessen the risk of VOC exposure in your home. Buy non- or low-VOC paints and other products. And when you get your clothes back from the dry cleaner, don’t accept them if they smell strongly of chemicals. This means that they haven’t dried properly. Radon is an invisible radioactive gas that has no smell or taste. It occurs naturally in the rocks and soil below your house and can be released into your home through cracks in the basement or the foundation. When radon gas is breathed in, tiny particles become lodged in your lungs, where they can cause cancer. In fact, radon is the leading cause of lung cancer (after the use of tobacco products) in the United States. The Surgeon General and the EPA both recommend that every household have a radon test performed. If radon is discovered at a risky level, mitigation measures can be performed to remove the radon from your home. American Building Inspectors, Inc provides inspection services to the greater Philadelphia area including radon testing, so that you can find out if your home is healthy, or if environmental hazards to your home exist. Contact us to inquire about our services.